There are many fantastic skin care products on the market today, which can help to revitalise your skin and make it look flawless and stunning. However, in order to get the best from your skin care products, it’s important that you also look at other factors that could have an effect on your skin. One factor that can determine the condition and look of your skin is your diet. In order to function properly and stay healthy, our bodies require some essential nutrients- the majority of which come from your food intake. If you regularly live off junk food and processed meals, there’s a high chance that your body won’t be getting all of the nutrients that it needs. This in turn can lead to your skin looking dull and dehydrated. To keep your skin looking as fresh as possible, make sure that you fill up on fresh fruit and vegetables, and also drink plenty of water. Dehydrated and under nourished skin is particularly susceptible to prematurely developing fine lines- meaning that the effects of a poor diet can be long lasting. If you feel that you may be guilty of neglecting your diet, make sure that you start to make a conscious effort to improve it straight away. 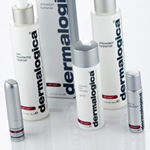 To help to combat the external effects of a poor diet, Dermalogica have a fantastic line of products that are great for tackling premature skin ageing and dehydrated skin.